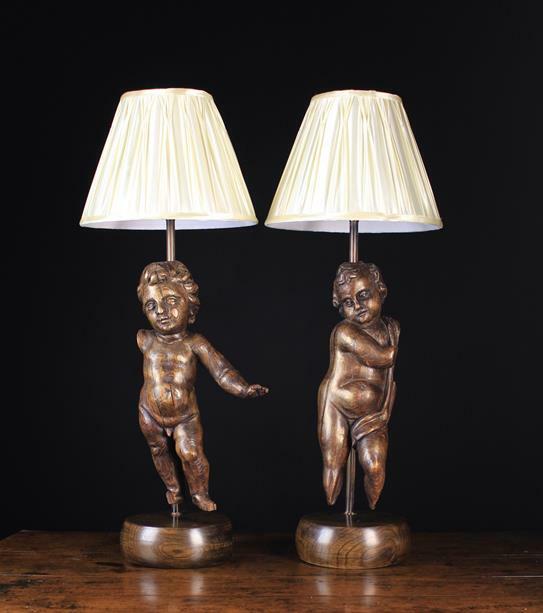 A Pair of Carved Oak Figural Lamps incorporating late 18th Century oak putti above later circular plinths, fitted with pleated shades, approx. 32 inch (81 cm) overall in height. 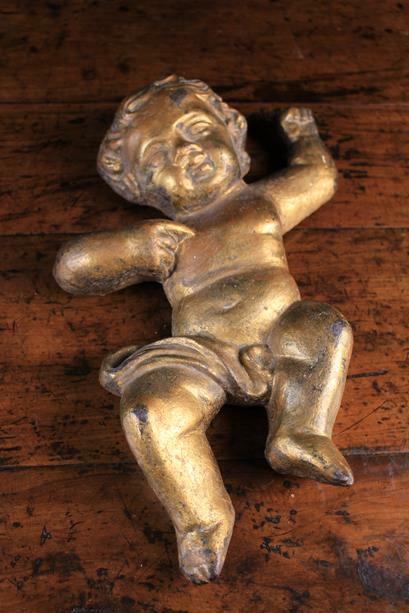 A 19th Century Relief Cast Iron Cherub painted gold, 13 ins (33 cm) in height. 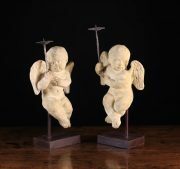 A Pair of Carved Limestone Cherubs. 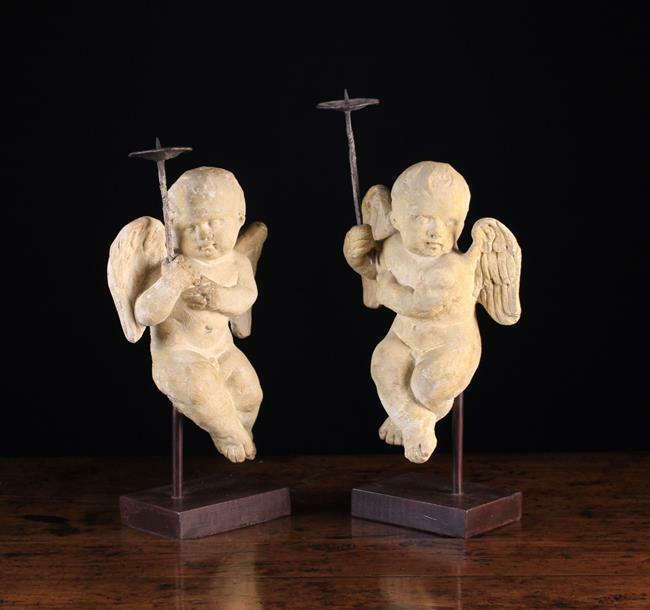 The delightful, winged fleshy cherubs depicted holding wrought iron pricket candle stands, raised aloft on poles above modern metal plinths, 14½ ins (37 cm) high, excluding prickets. 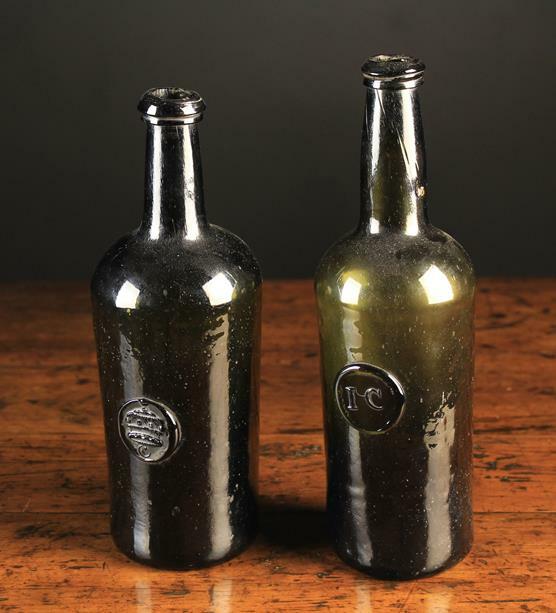 Two 18th Century Green Bottles with Seals. 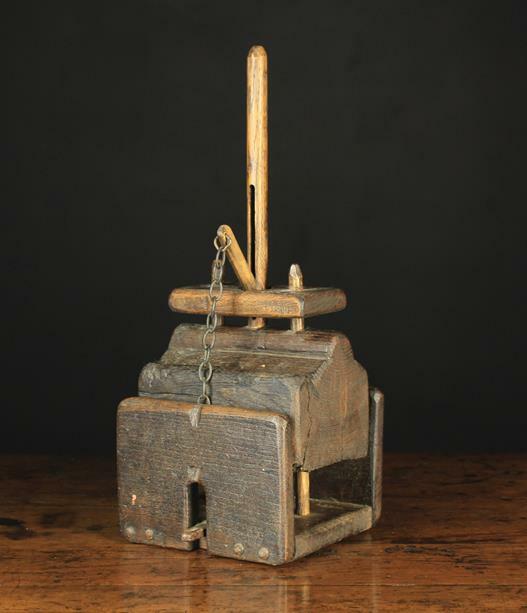 A George IV Coopered Oak Bushel Grain Measure on a later stand. 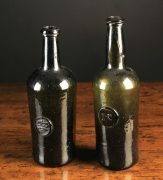 The cylindrical iron bound vessel fitted with carrying handles either side, and stamped repeatedly with a crown, Co. Ross and initials M.L., 9 in (23 cm) high, 16½ in (42 cm) including stand, 19¾ in (50 cm) in diameter. 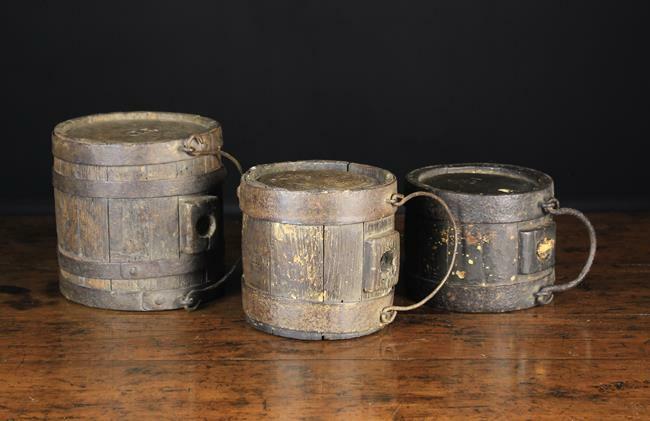 Three Early 19th Century Iron Bound Coopered Oak Costrels of cylindrical form, The largest branded with initials TD, 6½ ins (16.5 cm) high. The second 5 ins (13 cm) high. The smallest branded IC with traces of old paintwork 4½ ins (11.5 cm) high. 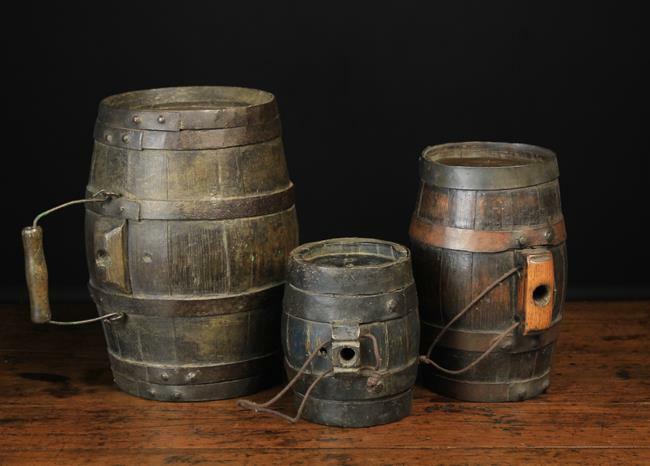 Three 19th Century Iron-bound Oak Coopered Costrels of barrel form, 11 ins (28 cm), 9 ins (23 cm) and 6 ins (15 cm) in height. 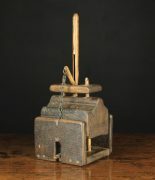 An Early 19th Century Rustic Mouse Trap, 16 in (41 cm) in height. 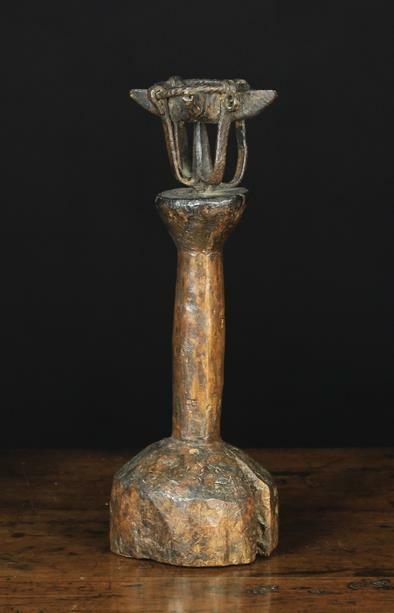 A Late 17th/Early 18th Century Wrought Iron Standard Crusie Lamp. 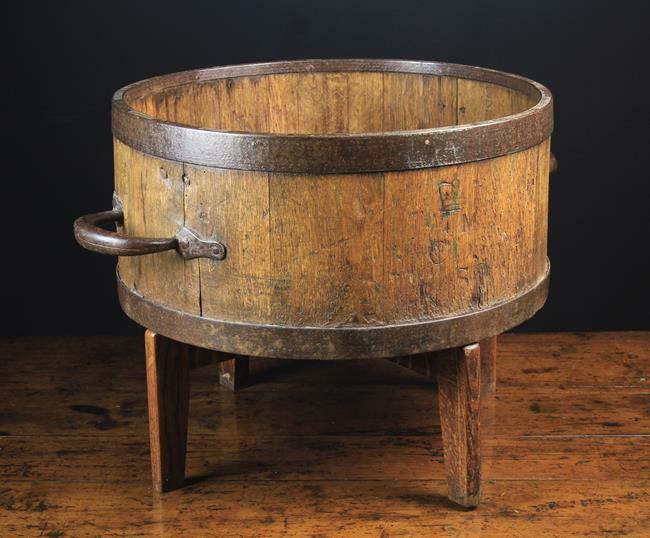 The four point pan raised on upswept straps with scrolled ends looped around a wrythen retaining ring to the top, raised on a rustic stand with a flared top, chamfered pole stem and round block base, 12½ ins (32 cm) high. 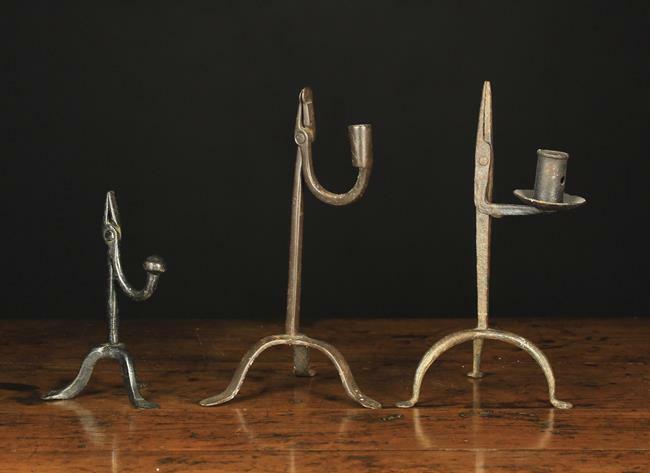 Three Wrought Iron Rushnips on tripod bases; Two early 19th century with candle sockets, 10 ins (25.5 cm) and 10¼ ins (26 cm) high. The third later in date with a counterweighted arm, painted back, 7 ins (18 cm) in height.